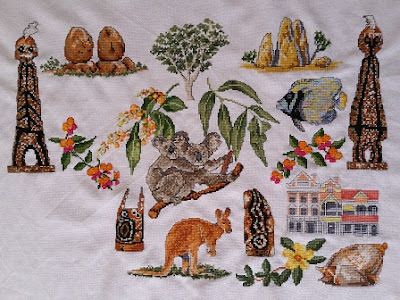 Years ago my mother started this Australia sampler for my father. She got a poor eyesight over the years, so now I’m going to finish it for my parents. I share an update from time to time to keep me going. Yesterday I finished the Mimi Spirit on the left side of the sampler. 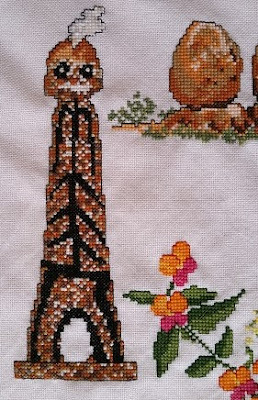 There are 4 more items to stitch. And this is how my sampler looks now. There are bigger/better photos at my Facebook blog. You can also follow me at Facebook or Instagram. There you can see the (daily) update of my 365somethings2018 and other things I'm working on.